Dr. Green is employed by Penn Medicine. 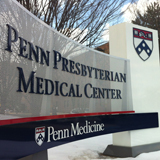 Interview with Jesse A Green, MD: Advances in IBD Therapy at Penn GI: Severe Ulcerative Colitis" Penn Gastroenterology News Update : 2018. Interview with Jesse A. Green, MD: "The Risks, benefits and indications of Colonscopy as well as its use in colorectal cancer screening" Milestones Newspaper (Philadelphia Corporation for Aging) : 2018. Haider R, Kim M, Leung G, Green J, Katz S.: Drug-herb interactions in the elderly patient with IBD: a growing concern. Current Treatment Options in Gastroenterology 15 (4): 618-636 ,2017. Kim M, Katz S, Green J.: Drug Management in the Elderly IBD Patient. Current Treatment Options in Gastroenterology 13 (1): 90-104,2015. Bittermann T, Green J, Furth E, Braxton D, Harbison S, Rashid F.: A Case of Mesenteric Inflammatory Veno-Occlusive Disease Mimicking New Onset Inflammatory Bowel Disease in a Healthy 71-year-old man. Inflammatory Bowel Diseases 20 (Supplement) (12): S23-25,2014. Azizi S, Manten E, Green J: A rare case of reactivation of Hepatitis B in the setting of Hepatitis B surface antibody positivity. American Journal of Gastroenterology 109 (Suppl 2): S390,2014. Kim M, Green J: Prevalence of gastric fundic gland polyps in our upper GI endoscopy patients. American Journal of Gastroenterology 109 (Suppl 2): S51,2014. Azizi S, Manten E, Green J.: A rare case of malignant melanoma to the jejunum. American Journal of Gastroenterology 109 (Suppl 2): S350,2014. Kim M, Dam A, Green J.: Common GI Drug Interactions in the Elderly Current Treatment Options in Gastroenterology. 12 (3): 292-309,2014. Kim M, Patel A, Lee HJ, Green J: Diagnosis and Management of Microscopic Colitis: A Review of the Literature Practical Gastroenterology XXXVIII (No. 2) : 12-22,2014.